In 1931 Queen Marie of Romania wrote an essay in honor of her youngest daughter, Princess Ileana, who was about to be married. The essay, entitled "The Child with the Blue Eyes," expresses the feelings of almost every mother when about to send a beloved child out into the world. Of her six children, Queen Marie had been allowed to raise Ileana herself and supervise her education, and so was especially heartbroken by the separation. Ileana's brother the king had more or less pressured her into a marriage which was more to his advantage than hers. Her destiny was to be riddled with hardship and tragedy. Tribulations, however, only refined the soul of Ileana, deepening her spiritual quest. 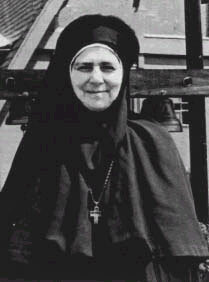 After coming to America she eventually became an Orthodox nun, known as Mother Alexandra. She inherited her mother's gift of expression, as can be seen in her numerous spiritual writings. Here is Mother Alexandra's meditation on the Our Father and here is her autobiography. I was born to the sound of the twenty-one gun royal salute to the daughter of a long line of kings and emperors; therefore, it is true that I started life in one sense from above—from the top, you would say. But the twenty-one gun salute meant also that I was born into an occupation already established for me. Duty was the keyword of my childhood and youth. I was trained to do my duty to my country in all things, to be respectful and loving to my parents, to be loyal to family and friends. "Princes are born in public and die in public"—and between those two occasions they live in public. It was my duty to serve others along the lines rigidly laid down for those in my station: to be there when called upon; to listen to the needs of others; to weep with them or to rejoice with them, as they might require. It is only now, when I have lived in other countries, that I can look at all objectively at my training; that I can see how anyone might think it odd that 1 would feel I must attend a scheduled state banquet on one special evening when, as a young girl, I thought my heart was broken; or that I would drive across the city of Ploesti during a bombing raid to keep an appointment at an important school function where I had promised to preside. These things were duties, but housekeeping was not included in those duties. It would have been egotism on my part to take the time that belonged to the country in order to learn to do things which were already being done efficiently and well by others. Royalty has always got into difficulties when it insisted on leaving its prescribed duties for something it chose to do for its own pleasure. Elena, I have read in a biography of Queen Marie of Romania that Ileana was the daughter of one of the Queen's lovers, and that to avoid a public scandal the king accepted her as his own daughter. And, I think, it was King Boris of Serbia who broke off his engagement to Ileana when he became aware of the rumours about her paternity. I may be wrong about it being Boris. I think too, that she was engaged to Prince Axel of Pless, and Queen Marie ended this engagement because of rumours that he had had a homosexual relationship before he met Ileana. I have lent my bios (foolishly) and they seem to have been lost or misplaced. I've heard lots of different stories. The main thing is that Ileana was acknowledged by the king as his child. She resembled him as well and she looked nothing like Prince Barbo Stirbey, or Marie for that matter. That's the conclusion I have come to, anyway. Feel free to disagree. There is an odd reference to Princess Ileana/Mother Alexandra on page 211 of Klier & Mingay's book The Quest for Anastasia. It states that "the court case, with all its litigants, had just got underway in October 1993 when Penny Jenkins arrived at work early one morning to find a woman sitting in her office and demanding access to the Anderson sample. 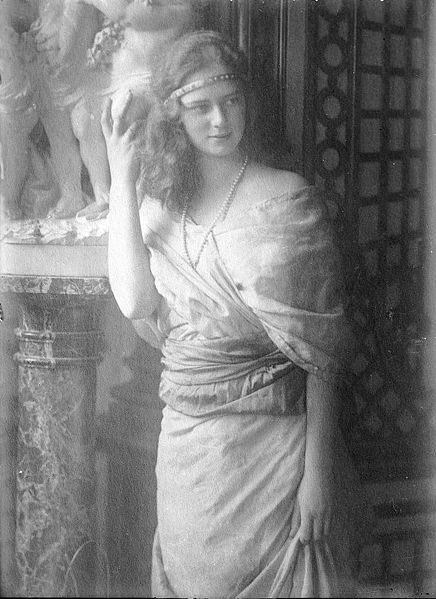 She introduced To herself as Anastasia Romanov and declared it had taken her three days to arrive in Charlottesville from Mullan, Idaho, because she only travelled by train. To the consternation of all concerned, the trial judge accepted her brief. She became the fourth party officially represented in the court case, the most bizarre and in some ways the most poignant. She claimed to be Anna Anderson's daughter. This Idaho Anastasia had changed her name by deed poll, when she realized her true antecedents. Anastasia Romanov said that her original name was Ellen Margarete Therese Adam Kailing and claimed she was born in Germany on 27 October 1947. She was later rescued from a concentration camp and her adoptive mother was paid to raise her. Her story thereafter confirmed the dangers of convent girls reading romantic novels. The key evidence of her "true" identity came from Princess Ileana, who was then Mother Alexandra, Abbess of the Orthodox Monastery of the Transfiguration at Elwood City, Pennsylvania. She told Ellen Kailing in June 1990 that she was the daughter of Grand Duchess Anastasia. Later, after reading James Lovell's book on Anastasia, where he conjectured that Anna had a love affair with Prince Heinrich von Ruess zu Schleiz, she drew the logical inference that the Prince was her father. The raw material for her new identity was drawn from three authors who have written about Anastasia and the Romanovs: Peter Kurth, James Lovell, and most recently Edvard Radzinksy. ..........Her dream of being a lost princess, based on nothing more than reading three books, is sad testimony to the potency of the Anastasia story." What a sad crazy woman (the one from Idaho). Too bad she decided to drag Mother Alexandra's name into it. There are certain stories and certain historical personages who capture everyone's imagination. You'd be surprised at all the women who believe that they are reincarnations of Marie-Antoinette. Her dream of being a lost princess, based on nothing more than reading three books, is sad testimony to the potency of the Anastasia story?? ?